Our ASKAP telescope is the fastest radio telescope in the world for surveying the sky. Ah the Australian outback. Red dirt, bounding kangaroos and wide open spaces that seem to go on forever. Sure it’s a great place to explore that little slice of untouched Australia but it’s also the perfect place for our radio telescopes to explore the unknown Universe. It’s because of our southern hemisphere location on the planet, and our ability to manage large, complex facilities with a high degree of reliability, that we’ve been involved in some iconic events, from the Moon landing, to the Pluto flyby in 2015, to the last hurrah of Cassini as it plummeted into Saturn last week. Now we’re building a new generation of radio astronomy technology with our Australian Square Kilometre Array Pathfinder (ASKAP) telescope at the Murchison Radio-astronomy Observatory (MRO), in Western Australia about eight hours drive north-east of Perth. The ASKAP telescope is made up of 36 dish antennas, working together as a single instrument. Each antenna is fitted with a special ‘camera’, the CSIRO-designed phased-array feed, that is made up of 188 individual receivers. You can think of it as a bit like a wide-angle lens allowing you to see more through a single viewpoint. ASKAP is the fastest radio telescope in the world for surveying the sky, taking panoramic snapshots more than 100 times the size of the full Moon. To take these snapshots, we had to build ASKAP in a remote site in the middle of the outback to reduce the chance of radio interference. Radio telescopes use extremely sensitive radio receivers designed to measure the very faint radio signals arriving from astronomical sources in space. But radio interference is part and parcel of modern society. Things like mobile phones, microwaves, radio and TV transmissions all use radio frequencies to work and therefore interrupt our view of the universe. The problem with a nice, remote, radio-quiet place is how to power it. Poles and wires just aren’t built in these areas, so most remote radio astronomy sites rely on diesel power. But diesel can get expensive and comes with a sizeable carbon footprint. But we’re CSIRO. We couldn’t let this challenge get the better of us! So we decided to see if any Australian companies could help us build a battery that could store the power generated by solar panels, but still meet our radio-quiet requirements and not interfere with the operation of our telescopes. Our battery with a shield ensures we can make the most of the power captured from our 5280 solar panels. Enter Energy Made Clean, or EMC, a small business based in Perth. 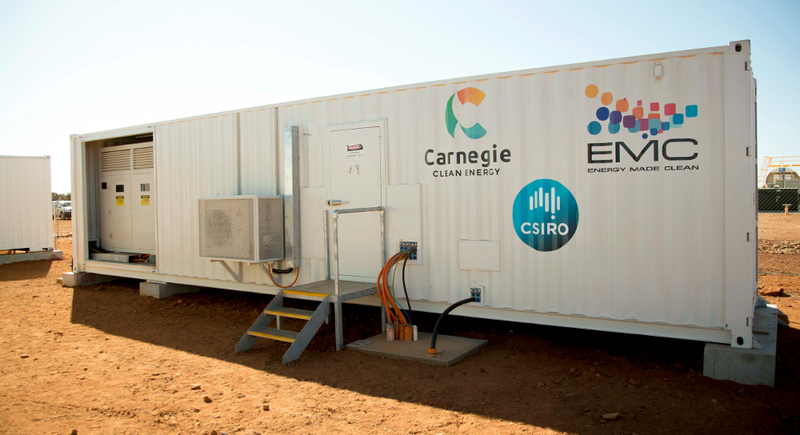 Working closely with our engineers and scientists, EMC has built the world’s first solar storage system to run a remote radio astronomy site. 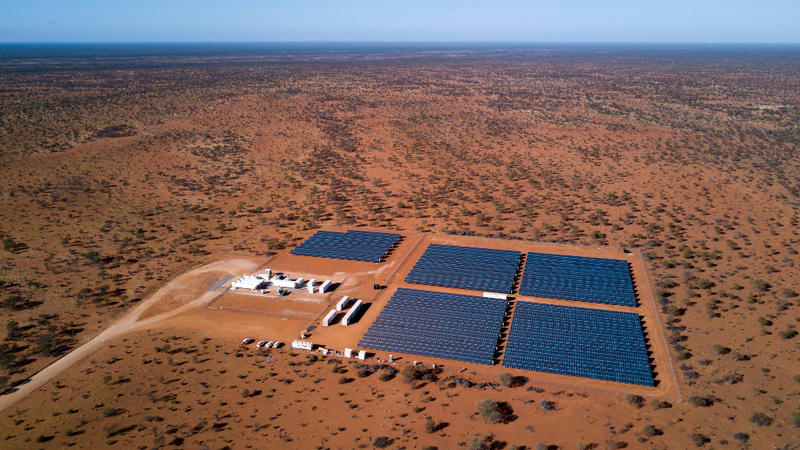 They built a battery with a shield to ensure it doesn’t interfere with our radio telescopes, allowing us to store the power captured from our 5280 solar panels during the day and use it into the night, switching seamlessly between solar and diesel power as a backup. Our solar and lithium-ion battery combo has the potential to power more than 400 homes and save between 1700 and 2200 tonnes of carbon emissions per year. The solution for storing our battery was to house all the high power electrical equipment in metallic shielded enclosures. EMC’s growth through this project has now set them up to be competitive for global energy infrastructure tenders. The company grew from 10 to 50 employees and has already received a number of enquiries about shielding renewable generation systems. They’ve grown significantly in their company skill set – a very necessary one for them to develop and become a bigger company taking on more complex projects. “The proactive approach by CSIRO in identifying how they can collaborate and allow SMEs to grow is refreshing,” he said. 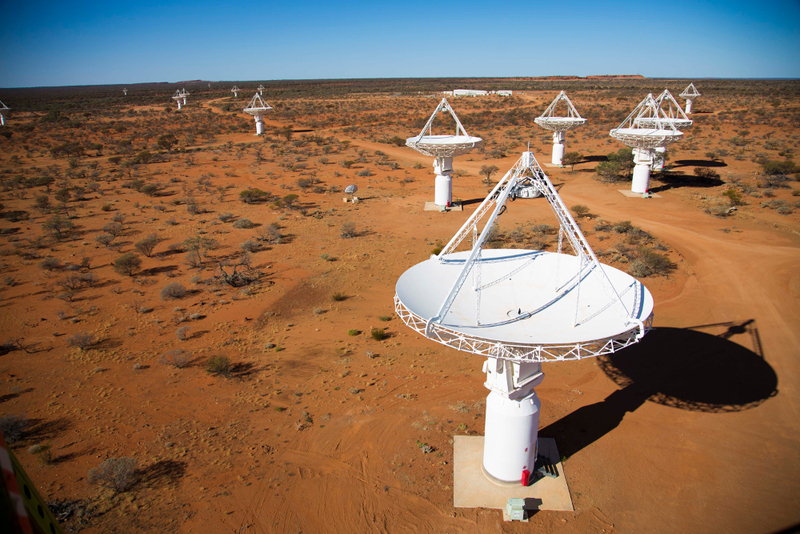 The ASKAP telescope is a precursor to an even bigger global project called the Square Kilometre Array (SKA). The SKA is going to need three times more power than the ASKAP telescope so this setup might also allow us to power it with renewable energy too. Now we can get back to exploring the Universe. Presumably if the power inverters can be sine-wave, crystal locked and temperature controlled, then only one frequency will be emitted. Also grounding and shielding would be essential. Basically, get a microwave engineering firm to design the power system! use parabolic mirrors to steam with heat storage, with bio-digester for your organic wastes to provide gas backup, plus you can convert your waste water to steam for drinking water and use the heat for conditioning as well. you have been working on the tech, or use Aalborg CCP. But I ask you; what has science ever done for us ? Why not build a nice pretty coal fired power station out there ? Coal is good for humanity !! !